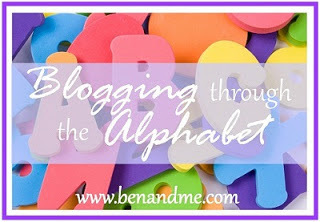 A YEAR OF JUBILEE REVIEWS: P is for Planning *Giveaway! This week I have been in planning mode. We take a shorter break in the summer than most, just by a few weeks as I like to have some flexibility with our school year. So despite the fact that I feel like we just got done with school, I am back at it planning this next year! So how do I plan? Especially with 5 kids to school? Lots of prayer, paper and list making! I like to combine the kids in as many of the extra studies as I can. I do this by combining them with science, history, unit studies and things like that. I can work with them at their own levels, yet still only teach one subject to several children at a time. As I do that I am starting with the oldest two students planning first. They are both in high school so it is important that I keep them on track for the requirements of the state. The oldest is pretty self sufficient so his is quite easy to do. I make a list of what we may need to purchase and we are good to go. The second oldest is starting high school this year and is not the same type of learner as his older two brothers. He has some focus issues so it is important for me to find curriculum that he enjoys, and electives that he will follow through with. Then I have the 'littles' as I call them. I will evaluate where they were in Math, Reading, Spelling, Writing for this past year and see where I think they are landing for the start of the upcoming year. They will be doing independant work with these subject. This is where a good planner comes into place! Trying to organize when each student has 'work alone time', and 'mom time'. Planning in the 9th grader to 'mom time' as well. The Schoolhouse planner has been very helpful to me in having the ease of printing out planning pages that fit what I am doing at the moment. Whether it be making a list, organizing our day, or simply looking ahead for the high schooler. Every planning sheet imaginable is within this planner! This planner has 800 pages! I don't think they left anything out! These planners are great for the student to help manage and track their own time and requirements. You can purchase the 2013-2014 Schoolhouse Planner HERE for $39. Further down the page you can see the student planners for purchase as well. 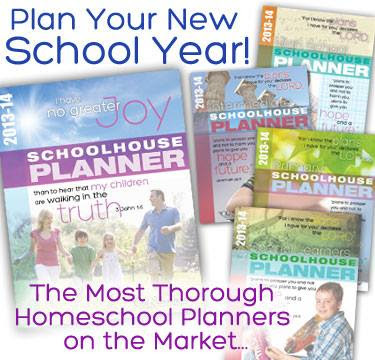 Schoolhouse planners are free for http://schoolhouseteachers.com/ subscribers! To subscribe it is $3 for the first month, and $12.95 each month after. They have a wealth of information that you can use daily in your school curriculum, plus a great inventory of daily activities. to one of my readers! Disclosure: As a member of the Schoolhouse Review Crew, I have been given membership to SchoolhouseTeachers.com, which includes access to the Schoolhouse Planners. I am a procrastinator so it of course has not started yet but thanks for the reminder now I can get that on my to do list. We actually school year-round and our academic year runs July 1 - June 30 so today is the first day of school! :) I am constantly planning for future months, though. Most of our curriculum is ordered. I am waiting to get a few things in so I can plan out the courses. Would love to win this planner. It would be great to have to organize all in one place! We take the summer off for 4-H and are starting back after fair is done in mid August. I homeschool my 3 youngest children. This year is going by too fast. Too much that I wanted to get done in the winter hasn't happened yet. Finally have a plan so I'd say strong! To be more organized.. right now i'm using a fridge calendar.